PC diagnostic software that performs checks on your computers hardware. SyvirPC (30+ Sensors) 2.20 was available as a giveaway on February 27, 2018! PC diagnostic software that performs checks on your computers hardware. SyvirPC is like having a pc doctor inside your pc. Check your system for problems before they become serious issues and you end up losing data. Regular checks on your p.c will spot problems before they become failures. 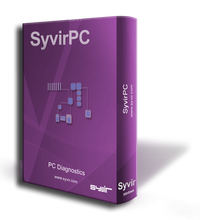 PC diagnostics is the main part of SyvirPC. The program also makes an inventory list of pc hardware. 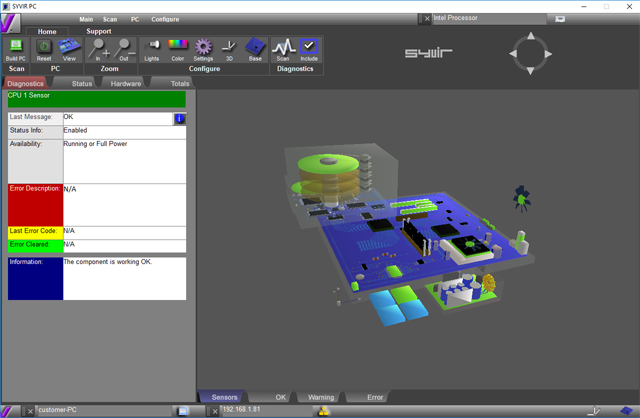 SyvirPC builds a 3D model of the target PC based on Windows WMI data. If this data is incomplete this will be reflected in the 3D model, hardware inventory and diagnostics information. NB: 6-month license. Includes all available Sensors. Full Version. Windows 7/ 8/ 10 (x32/x64); Requires DirectX 8.1 or higher on the installed machine; Windows WMI services need to be running on the PC being scanned. How would you improve SyvirPC (30+ Sensors) 2.20? I am fed up with these deadbeats wanting everything for nothing... this site is named give away of the day, right, no one said anything about life time this or life time that. I'm tired, sick of them in fact, of all the ungrateful people saying, very childishly, "6 months? not lifetime, NO THANKS"... I mean come on, these people have to eat too you know, they have families to raise, you cannot have your own slave in these cases, just grow up and accept the fact that even 6 months of all kinds of software is brilliant for you to try and never ever buy.... however... us FAIR and DECENT people use this time to decide to buy it or not... if its good, I buy it. I'm not a scavenger and I'm not a free loader. Try it and/or buy... but stop with the entitled childish comments about not being "for life"
Kiwi1960, that they then offer programs that work. Usually there is more than enough information about trial versions to buy a program or not. Kiwi1960, that they then offer programs that work. Usually there is more than enough information about trial versions to buy a program or not. Kiwi1960, this is yet another vitriolic and unnecessary comment. Most who make these complaints often point to a fictional lack of actual program reviews, yet the complaint itself, as usual, contains NO program reviews either. Also, if you read the many comments on this page, there is only one complaint about the limited license offered by the developer -- only ONE. So why are you making such a big fuss? If it is a personal issue, why not address your assumed nemesis directly? And you mentioned "yet another good offer" -- Where?? Kiwi1960, this is yet another vitriolic and unnecessary comment. Most who make these complaints often point to a fictional lack of actual program reviews, yet the complaint itself, as usual, contains NO program reviews either. Also, if you read the many comments on this page, there is only one complaint about the limited license offered by the developer -- only ONE. So why are you making such a big fuss? If it is a personal issue, why not address your assumed nemesis directly? And you mentioned "yet another good offer" -- Where?? Some users have found issues with a run time error. In these circumstances the best thing to do is install the latest version from our downloads page. The serial number will still be valid. Some users have found issues with a run time error. In these circumstances the best thing to do is install the latest version from our downloads page. http://www.syvir.com/dl.aspx The serial number will still be valid. SYVIR Technologies, what happens after the 6 month license exipres? Is that that a usage license or a free update license? Syvir software comes with Lifetime perpetual Licenses (no annual fees). These licenses are not time limited." Where as you apear to be offering a license that you do NOT sell and it apears to be just a moderatly extended trial of the product and not a license we could otherwise buy! Not having tried your offering yet I cannot say for certain but you currently have a remarkably poor user rating at 84% thumbs down and that may be due to this not being perceived as a legitimate giveaway of a commercial product or some deficiency in the program, time will tell if the moderators allow the comments through. SYVIR Technologies, what happens after the 6 month license exipres? Is that that a usage license or a free update license? on your site http://www.syvir.com/store/store.aspx you have the text: "Purchase Online Syvir software comes with Lifetime perpetual Licenses (no annual fees). These licenses are not time limited." So that means in order to be compliant with this sites advertising and therefore the users expectations I refer you to the banner text near the top of this and every giveaways page: "Every day we offer FREE licensed software you’d have to buy otherwise." Where as you apear to be offering a license that you do NOT sell and it apears to be just a moderatly extended trial of the product and not a license we could otherwise buy! Not having tried your offering yet I cannot say for certain but you currently have a remarkably poor user rating at 84% thumbs down and that may be due to this not being perceived as a legitimate giveaway of a commercial product or some deficiency in the program, time will tell if the moderators allow the comments through. What on earth is the purpose of this software? It's "inventory" is hardly a smidgen of what free Belarc Advisor delivers. The "3D" dancing baloney looks nothing like my PC -- there's not even an attempt to seek out the manufacturer's web site and connect with my real computer's information, and it's not interactive, such as clicking on a RAM chip and getting info, or clicking on info in a list and seeing it blink in the 3D image. "Diagnostics" found a "problem", but I had to click everything on screen to find any reference to the "problem", it did notproduce a report on screen to inspect, then when I did find a screen showing the error, all it said was "Problem with USB 6" .. and nothing more ( did it stumble on my ReadyBoost thumb drive ? Who knows? ). What is this software supposed to actually DO?
. What on earth is the purpose of this software? It's "inventory" is hardly a smidgen of what free Belarc Advisor delivers. The "3D" dancing baloney looks nothing like my PC -- there's not even an attempt to seek out the manufacturer's web site and connect with my real computer's information, and it's not interactive, such as clicking on a RAM chip and getting info, or clicking on info in a list and seeing it blink in the 3D image. "Diagnostics" found a "problem", but I had to click everything on screen to find any reference to the "problem", it did notproduce a report on screen to inspect, then when I did find a screen showing the error, all it said was "Problem with USB 6" .. and nothing more ( did it stumble on my ReadyBoost thumb drive ? Who knows? ). I don't get it. What is this software supposed to actually DO? It's not even entertaining. . I'm removing this software because it does not report anything. OK is not a report of conditions on my computer. There are better free software programs out there. I'm removing this software because it does not report anything. OK is not a report of conditions on my computer. There are better free software programs out there. tried to access their website to download the latest software as given in the comments. This is what my computer reported. Belarc Advisor does all this and more. It gives far more detailed results, runs inside your browser, has been around for years, has a great reputation, and doesn't install extra crud you don't want. I'll stick with what I know works. After reading all the comments with runtime errors, there is no reason why I would install a program that I would have to uninstall immediately thereafter considering no assistance or explanation from the absent developer of this software. All the comments accurately and completely detailing the absence of any usable information provided (in this case NOT provided, displayed or extracted) by this software, why in the world would anyone buy or install this program even for free? If this program is worthless when given away for free, who would ever purchase it? I have never before encountered software that offered absolutely nothing of value. Forgive me, I am at a loss for words to further comment on this useless exercise. Hopefully, I have saved another visitor some wasted time. After reading all the comments with runtime errors, there is no reason why I would install a program that I would have to uninstall immediately thereafter considering no assistance or explanation from the absent developer of this software. All the comments accurately and completely detailing the absence of any usable information provided (in this case NOT provided, displayed or extracted) by this software, why in the world would anyone buy or install this program even for free? If this program is worthless when given away for free, who would ever purchase it? I have never before encountered software that offered absolutely nothing of value. I feel embarrassed for Giveawayoftheday offering this. Don't they check or even try the software they give away to determine whether it: 1) Functions? (This fails upon execution with a runtme error) 2) Offers ANY benefit whatsoever? (If I am wrong, please specify at least ONE tiny bit of information this program displays) Forgive me, I am at a loss for words to further comment on this useless exercise. Hopefully, I have saved another visitor some wasted time. Oh well, never mind the 100 Million worldwide that STILL USE XP. iwontell, it will install and work on XP, the claim its for windows 7 and above is marketing fiction. But don't waste your time... I believe it has a nasty resource leak because after installing and using this for a while and eventually uninstalling it I found firefox kept crashing on launch but after rebooting firefox worked flawlessly again. Never had any such trouble with that browser before and hasn't happened again since the reboot. "PC diagnostic software that performs checks on your computers hardware." to me sounds dubious. Some of the "key components" listed can't really be checked, at least with software, while others like the keyboard give you problems [e.g. keys sticking or repeating or dead], or they don't. Presenting data on a device's components, like Speccy, while maybe not 100% accurate is fine. Reporting data from temperature sensors & reported voltages, like CPUID HWMonitor, is fine. Showing this stuff to you in a 3D model is fine. "spot problems before they become failures" *may* work with S.M.A.R.T. data from your hard drive(s), but otherwise not so much... monitoring CPU temps for example can tell you if something's not right, & fan speeds [if reported] *might* point to a probably cause, but a dead fan's already failed, & the CPU or motherboard shouldn't fail because of it. The typical main or motherboard has temperature sensors that are used to reduce the CPU speed if things get too hot, shutting it down if things really get too hot, & they can also be used to regulate fan speeds of fans connected to that board [vs. those plugged into leads from the power supply]. Several voltages are also reported, along with things like CPU clock speeds. Similar info may be provided by a discrete or separate GPU. Hard drives report S.M.A.R.T. data. Things like abnormal fan speeds, temperatures, voltages, S.M.A.R.T. data, along with noise when there are moving parts, e.g. conventional hard drives, may indicate a problem that's likely about to get worse. Otherwise when or as it goes bad, stuff just tends to cause problems or symptoms, or more often, just fails, though that failure may not be absolute... a motherboard may fail entirely for example -- I had one where a mosfet burned up [literally, with smoke] -- or it might just do something like drain the battery that maintains bios settings overnight. A hard drive or optical drive may get slower, or an optical drive may start having problems reading discs, or write discs that other devices can't read, or they can completely fail without warning. Often the only way to diagnose or confirm bad add-on cards, e.g. a sound card, or power supply, or RAM is to replace it -- there are RAM tests, but AFAIK none that are always 100% accurate, so docs tell you if the tests are OK, but you suspect bad RAM, start pulling RAM sticks [when/if possible] and see if the problem(s) goes away. Things that plug into your PC/laptop/tablet etc. most often work until they don't. Sometimes plugging them into another device is generally the best, often only way to tell if the problem is the device you're plugging in, or the hardware you're plugging it into, e.g. when you have an external drive that doesn't work. Other times it's obvious, like keyboard keys sticking or repeating, or a mouse button that starts giving problems. Individual components may or may not provide info on make, model etc., though wrong devices &/or brand &/or model can be reported when incorrect drivers are installed. After switching a copy of win7 from AMD to Intel hardware, I've had now phantom AMD hardware continue to be reported because that data was still stored somewhere in the registry. Apps like CPUID HWMonitor [free & paid] can show data like temperatures, voltages, clock speeds, & the current speeds of motherboard connected fans if they're reported. Windows Device Mgr. shows what info Windows itself has on hardware, though it can also show devices for which no hardware exists -- you can get a bit more info by right clicking a device or component & selecting properties. The IDs of chipsets on the motherboard for things like networking, audio, stuff like added SATA & USB controllers etc. can often only be determined with accuracy by reading the numbers imprinted on the chips themselves. <i>"PC diagnostic software that performs checks on your computers hardware. "</i> to me sounds dubious. Some of the <i>"key components"</i> listed can't really be checked, at least with software, while others like the keyboard give you problems [e.g. keys sticking or repeating or dead], or they don't. Presenting data on a device's components, like Speccy, while maybe not 100% accurate is fine. Reporting data from temperature sensors & reported voltages, like CPUID HWMonitor, is fine. Showing this stuff to you in a 3D model is fine. <i>"spot problems before they become failures"</i> *may* work with S.M.A.R.T. data from your hard drive(s), but otherwise not so much... monitoring CPU temps for example can tell you if something's not right, & fan speeds [if reported] *might* point to a probably cause, but a dead fan's already failed, & the CPU or motherboard shouldn't fail because of it. The typical main or motherboard has temperature sensors that are used to reduce the CPU speed if things get too hot, shutting it down if things really get too hot, & they can also be used to regulate fan speeds of fans connected to that board [vs. those plugged into leads from the power supply]. Several voltages are also reported, along with things like CPU clock speeds. Similar info may be provided by a discrete or separate GPU. Hard drives report S.M.A.R.T. data. Things like abnormal fan speeds, temperatures, voltages, S.M.A.R.T. data, along with noise when there are moving parts, e.g. conventional hard drives, may indicate a problem that's likely about to get worse. Otherwise when or as it goes bad, stuff just tends to cause problems or symptoms, or more often, just fails, though that failure may not be absolute... a motherboard may fail entirely for example -- I had one where a mosfet burned up [literally, with smoke] -- or it might just do something like drain the battery that maintains bios settings overnight. A hard drive or optical drive may get slower, or an optical drive may start having problems reading discs, or write discs that other devices can't read, or they can completely fail without warning. Often the only way to diagnose or confirm bad add-on cards, e.g. a sound card, or power supply, or RAM is to replace it -- there are RAM tests, but AFAIK none that are always 100% accurate, so docs tell you if the tests are OK, but you suspect bad RAM, start pulling RAM sticks [when/if possible] and see if the problem(s) goes away. Things that plug into your PC/laptop/tablet etc. most often work until they don't. Sometimes plugging them into another device is generally the best, often only way to tell if the problem is the device you're plugging in, or the hardware you're plugging it into, e.g. when you have an external drive that doesn't work. Other times it's obvious, like keyboard keys sticking or repeating, or a mouse button that starts giving problems. Individual components may or may not provide info on make, model etc., though wrong devices &/or brand &/or model can be reported when incorrect drivers are installed. After switching a copy of win7 from AMD to Intel hardware, I've had now phantom AMD hardware continue to be reported because that data was still stored somewhere in the registry. Apps like CPUID HWMonitor [free & paid] can show data like temperatures, voltages, clock speeds, & the current speeds of motherboard connected fans if they're reported. Windows Device Mgr. shows what info Windows itself has on hardware, though it can also show devices for which no hardware exists -- you can get a bit more info by right clicking a device or component & selecting properties. The IDs of chipsets on the motherboard for things like networking, audio, stuff like added SATA & USB controllers etc. can often only be determined with accuracy by reading the numbers imprinted on the chips themselves. Why pretend this is modern software by saying its for Windows 7 and up, yet include an installer primarily designed in windows 3.11 days at least come into the 20th century 32bit operating systems and use say inno or NSIS setup systems that ARE currently being developed with full support for modern versions of windows! The main executable is built to be runnable on Windows NT 4.0 which predates Windows 2000! It is also a Visual Basic 6 application so does not link to any windows subsystems directly. At least it is a 32bit application and not a 16bit one! DirectX 8.1 or better implies it would work under Windows 95 maybe even Win32s on Windows 3.1! The graphics of it look quite good with a 3D representation of a desktop motherboard regardless of if the host machine is clearly identified as a laptop, the graphic representation can be drag rotated in 2 axises which is fun for 30 seconds or so, it does not seem to provide ANY data on hardware sensors at all, there is no GUI space for sensor data son it's not that it just can't find it. It doesn't seem to be even looking for it! It seems to be calling enumerated devices existance error or not i.e. the existence of a device problem triangle icon in device manager as a "sensor" rather than CPU, motherboard GPU and storage thermal sensors and other realtime SMART sensors, voltage sensors fan speed sensors laptop battery charge capacity, charge level, charge/discharge rate sensors... expected runtime. The freeware CPUID HWMonitor and ALCPU Core Temp are far more informative and well described and modern than this. So I guess the user rating is down to both the dissapointment about it not being a commercial license giveaway and not being a modern program but a 1990s program developed in the 21st century without the use of any of the knowledge or hardware sensor technology accrued in the 21st century! Why pretend this is modern software by saying its for Windows 7 and up, yet include an installer primarily designed in windows 3.11 days at least come into the 20th century 32bit operating systems and use say inno or NSIS setup systems that ARE currently being developed with full support for modern versions of windows! The main executable is built to be runnable on Windows NT 4.0 which predates Windows 2000! It is also a Visual Basic 6 application so does not link to any windows subsystems directly. At least it is a 32bit application and not a 16bit one! DirectX 8.1 or better implies it would work under Windows 95 maybe even Win32s on Windows 3.1! The graphics of it look quite good with a 3D representation of a desktop motherboard regardless of if the host machine is clearly identified as a laptop, the graphic representation can be drag rotated in 2 axises which is fun for 30 seconds or so, it does not seem to provide ANY data on hardware sensors at all, there is no GUI space for sensor data son it's not that it just can't find it. It doesn't seem to be even looking for it! It seems to be calling enumerated devices existance error or not i.e. the existence of a device problem triangle icon in device manager as a "sensor" rather than CPU, motherboard GPU and storage thermal sensors and other realtime SMART sensors, voltage sensors fan speed sensors laptop battery charge capacity, charge level, charge/discharge rate sensors... expected runtime. The freeware CPUID HWMonitor and ALCPU Core Temp are far more informative and well described and modern than this. So I guess the user rating is down to both the dissapointment about it not being a commercial license giveaway and not being a modern program but a 1990s program developed in the 21st century without the use of any of the knowledge or hardware sensor technology accrued in the 21st century! Downloading the latest program update seems to fix the runtime error issue, but now I would have "License expired" at the top bar. Reentering the key and restarting the program again seems to fix the "License expired" error. Downloading the latest program update seems to fix the runtime error issue, but now I would have "License expired" at the top bar. Reentering the key and restarting the program again seems to fix the "License expired" error. Thank you. So, what do you think of the program now that you can run it without error?
. [ LYE HENG FOO ], So, what do you think of the program now that you can run it without error? . Yes, I could run the scan and get the report. Everything shows as OK, but no detailed explanation of what is being checked. So, I am quite doubtful of the OK report. And when I try to exit the program, I will get a "Run-time error '5' Invalid procedure call or argument" error. So, there is still some issue with the program. Besides, I find the interface is a bit primitive, and does not have the new windows feel. And "Build PC" button is misleading, it is actually running a "Scan", and not building a PC for me. 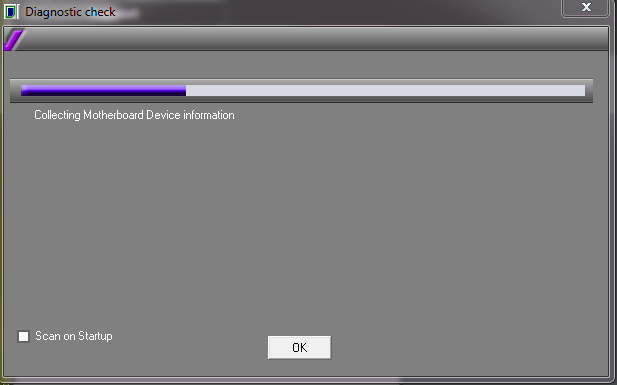 Anyway, I am uninstalling the program for now, maybe I will visit this back when the program is more reliable. Thanks. Peter Blaise, Yes, I could run the scan and get the report. Everything shows as OK, but no detailed explanation of what is being checked. So, I am quite doubtful of the OK report. And when I try to exit the program, I will get a "Run-time error '5' Invalid procedure call or argument" error. So, there is still some issue with the program. Besides, I find the interface is a bit primitive, and does not have the new windows feel. And "Build PC" button is misleading, it is actually running a "Scan", and not building a PC for me. Anyway, I am uninstalling the program for now, maybe I will visit this back when the program is more reliable. Thanks. When computer programming was added to the curriculum in the 90s we introduced Interactive Control a breakthrough coding program which simulated virtual components. **Around half of all U.K secondary schools** purchased this along with its sister coding program Visual Control. oscar, haha yeah nice find.. If what they say is true, no wonder the UK is so far behind in the programming industry! oscar, haha yeah nice find.. http://www.syvir.com/contact.aspx http://camboard-technology.com/contact.aspx same addresses and telephone and fax numbers... If what they say is true, no wonder the UK is so far behind in the programming industry! They are the same AND they have disabled the copy & paste functions on their sites to prevent comparisons and inclusion in posts like this! oscar, They are indeed the same companies! From their respective sites: http://www.syvir.com/contact.aspx -and- http://camboard-technology.com/contact.aspx They are the same AND they have disabled the copy & paste functions on their sites to prevent comparisons and inclusion in posts like this! No problem with the two domains; Syvir has stated from the beginning online (2007) and on up through most of 2013 that Syvir is a division of Camboard Technology, which itself goes back at least to 2001 on the web, and back to at least 1984 before being online. Camboard is more curriculum based, and Syvir was formed to address the commercial market (as I understand it). I am not impressed with the product, but I am impressed that you are still making this Windows 95 era program compile and sometimes run for later Operating Systems, all the way up to Windows 10. That is an achievement in itself. I cannot imagine the program detecting any kind of problems on later model motherboards, at least ones that the user would not have already discovered while using (or attempting to use) their system before installing this program. To be convinced otherwise, I would have to see some videos that show the product as a valuable modern diagnostic tool. 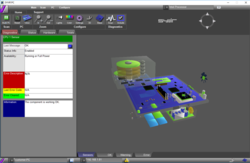 The YouTube videos are not much more than an demo that the 3-D model can be rotated. Clicking on any of the components did nothing for my system (no data filled in at the left). If you could show how this program can reveal something that other diagnostic tools cannot do with modern motherboards, I would definitely like to see it. There is not a lot of difference between the SyvirPC and SyvirBuild products, both given away recently. My first install of one of your programs was from 2017 (SyvirBuild ver. 1.60), but I was not able to use it due to a Run-time error '9' Subscript out of range. It seems (SyvirBuild 2.0 and SyvirPC 2.30) each tries to cover what the other does to some degree, but since nothing significant is ever found on my network, I cannot say that it would be the same for someone still running 10baseT. I have my original 8 MHz 8088 IBM PC and an older Osborne 1 Computer, but I have them working just fine the way I want them, and so this product is not very valuable to me, especially since I am running low on 5.25 floppies. Oh, and by the way, aside from the fact that it is 2018, your website header states "10 Years of Syvir 2007 - 2017" but that would be 11 years (you have to count the first year too). oscar, No problem with the two domains; Syvir has stated from the beginning online (2007) and on up through most of 2013 that Syvir is a division of Camboard Technology, which itself goes back at least to 2001 on the web, and back to at least 1984 before being online. Camboard is more curriculum based, and Syvir was formed to address the commercial market (as I understand it). (https://web.archive.org/web/20070626001230/http://www.syvir.com:80/ and https://web.archive.org/web/20010801000000*/http://camboard-technology.com/) To the SyvirPC developer: I am not impressed with the product, but I am impressed that you are still making this Windows 95 era program compile and sometimes run for later Operating Systems, all the way up to Windows 10. That is an achievement in itself. I cannot imagine the program detecting any kind of problems on later model motherboards, at least ones that the user would not have already discovered while using (or attempting to use) their system before installing this program. To be convinced otherwise, I would have to see some videos that show the product as a valuable modern diagnostic tool. The YouTube videos are not much more than an demo that the 3-D model can be rotated. Clicking on any of the components did nothing for my system (no data filled in at the left). If you could show how this program can reveal something that other diagnostic tools cannot do with modern motherboards, I would definitely like to see it. There is not a lot of difference between the SyvirPC and SyvirBuild products, both given away recently. My first install of one of your programs was from 2017 (SyvirBuild ver. 1.60), but I was not able to use it due to a Run-time error '9' Subscript out of range. It seems (SyvirBuild 2.0 and SyvirPC 2.30) each tries to cover what the other does to some degree, but since nothing significant is ever found on my network, I cannot say that it would be the same for someone still running 10baseT. I have my original 8 MHz 8088 IBM PC and an older Osborne 1 Computer, but I have them working just fine the way I want them, and so this product is not very valuable to me, especially since I am running low on 5.25 floppies. Oh, and by the way, aside from the fact that it is 2018, your website header states "10 Years of Syvir 2007 - 2017" but that would be 11 years (you have to count the first year too). What do they think the program DOES? I see NO features OR benefits.
. [ oscar ], 1990s? More like the 1960s. Or the 1860s. Haha. Not even entertaining. What do they think the program DOES? I see NO features OR benefits. .
Change the installation folder from C:\Program Files (x86)\SyvirPC to C:\SyvirPC and it will work on Windows 8.1 as well! Status in top windows bar says "License expired....". Running on Win 10 Pro. CPUID HWMonitor shows a plethora of sensors in realtime available in a free and paid for editions. Person, how is that working? that's just a list of items not sensors and their current, min and max values and programmable actions on programable thresholds (the last two items are what I would like on such a tool not what this program promises to provide) CPUID HWMonitor shows a plethora of sensors in realtime available in a free and paid for editions. Installed on 2 win10 pcs and program is useless. It contains less information than device manager, far less information than speccy, failed to identify some components, missed the absence of an audio device on one pc, and provided absolutely no useful information. A pointless program and difficult to believe it is version 2.20. I'd hate to have seen 1.0. And who needs an inaccurate 3-d image of my motherboard? I emailed support, their reply is below this comment. I tried the 3rd link, it worked this time. However, I am not impressed, like some of the comments before me, it's not saying much, I am not sure if there is any use for this app. The scan came out with 1 warning, but nothing else is told??!!?? The email is also quite unprofessional, I think. You put an app on for the giveaway, but you are not sure if it's the latest update?! How about checking it before sending me a reply? And why 3 links? Just give e one that works for sure. "Ok, sorry to hear of the problems you have. There has been a recent update to this program i’m not sure if you have the very latest version.. The one on our site is the latest. I know it was recently updated the problem might be to do with that. or the direct links here. The serial no will still be valid etc." I emailed support, their reply is below this comment. I tried the 3rd link, it worked this time. However, I am not impressed, like some of the comments before me, it's not saying much, I am not sure if there is any use for this app. The scan came out with 1 warning, but nothing else is told??!!?? The email is also quite unprofessional, I think. You put an app on for the giveaway, but you are not sure if it's the latest update?! How about checking it before sending me a reply? And why 3 links? Just give e one that works for sure. "Ok, sorry to hear of the problems you have. There has been a recent update to this program i’m not sure if you have the very latest version.. The one on our site is the latest. I know it was recently updated the problem might be to do with that. You can d/l the latest version from http://www.syvir.com/dl.aspx or the direct links here. http://www.syvir.com/SyvirPC.zip or http://www.syvir.com/SyvirPC2.zip The serial no will still be valid etc." Tried on 3 different computers. As soon as the key is entered I receive a runtime error and it's dead! Dell computers, press F12 on startup to get to the on-board hardware diagnostics. Installed and registered without any problems on Win 10 64 bit. First thing that struck me was how dated looking the installer was. Once installed and running the interface again looks very dated as well but what is more noticeable is that when you run a scan, there is no information to tell you exactly what its scanning and simply seems to confirm that a sensor is detected or not. For this to be of any real value it would need to spew out data on every part of system it is supposed to have checked. When scanning the CPU usage is very low indicating that doesn't do much in the way of scanning, a more through and comprehensive scan would almost certainly put more load on the CPU. Not really of any value to anyone. Robert, I thought the installer looked very "Windows 95" to me. The user interface also looks as dated, or at least what I saw of it before the whole thing crashed with that infernal run time error. My biggest peeve is not seeing any comments from the software developer so far. Surely they must be interested in our user comments enough to chime in with some suggestions on how to avoid the run time error that many of us are experiencing. Or maybe they just took the day off instead. I would love to try this program out however, the runtime error doesn't want me to. I am getting a runtime error. How do I fix that? Nie działa,nie można zamontować.Deinstaluje się na końcu. D - ownloaded & installed on my windows 7 PC OK however will not start as keeps asking for WMI services to be started; thus I tried to start WMI Services following Microsoft's instructions which results in my system shutting down. Eventually after much internet research on WMI I gave up & plan to uninstall this software. Installed, runtime error. Not much use. Downloaded, Installed and Activated with no problems on my Win10x64 machine using Edge as my browser. What can I say about todays offering? Not much unfortunately, as a more bare bones piece of software I'm not sure I've ever tried. SAY'S it checks (over 30!) different things but ....... we get no confirmation ...... or numbers ......... or anything exactly just their say so that that particular component is indeed there and working. It DID NOT find 2 drives at all .... or my battery (its a gaming laptop) .... or even my "heatpipe(s)" of which I have 6. Also I cannot even imagine a use for "enclosure" even if this found it ..... which it didn't btw. A completely useless waste of space on my Nvme M2 drive, which it couldn't differentiate either! 1- Give some numbers! My HDD is "OK"? What does that mean? It spins how fast? Its been up how long? I have memory? Good! What kind and how fast is it? The CPU is "OK", how many cores and how fast are they? And et cetera. 2 - Drop the silly and unnecessary entries. "Enclosure"....... Really? 3 - Spend a few dollarpounds on graphics. This seriously looks like an XP program and if you're going to want people to actually SPEND money on this you really need to update the GUI. 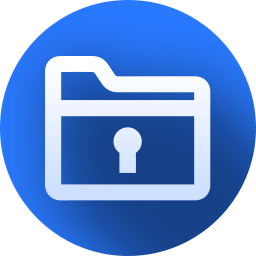 Final recommendation : There's much more information available to you using Windows built in app's / modules. Task manager and Resource manager are your friends and everyone who owns a Computer already has them installed. Heck, even the always free "Speccy" has more useful information available. This half finished, if that, software is ........... well, not worth the price even when free. Downloaded, Installed and Activated with no problems on my Win10x64 machine using Edge as my browser. What can I say about todays offering? Not much unfortunately, as a more bare bones piece of software I'm not sure I've ever tried. SAY'S it checks (over 30!) different things but ....... we get no confirmation ...... or numbers ......... or anything exactly just their say so that that particular component is indeed there and working. It DID NOT find 2 drives at all .... or my battery (its a gaming laptop) .... or even my "heatpipe(s)" of which I have 6. Also I cannot even imagine a use for "enclosure" even if this found it ..... which it didn't btw. A completely useless waste of space on my Nvme M2 drive, which it couldn't differentiate either! So, for the developers ........ are you serious? Giving you the benefit of the doubt about that here's my suggestions: 1- Give some numbers! My HDD is "OK"? What does that mean? It spins how fast? Its been up how long? I have memory? Good! What kind and how fast is it? The CPU is "OK", how many cores and how fast are they? And et cetera. 2 - Drop the silly and unnecessary entries. "Enclosure"....... Really? 3 - Spend a few dollarpounds on graphics. This seriously looks like an XP program and if you're going to want people to actually SPEND money on this you really need to update the GUI. Final recommendation : There's much more information available to you using Windows built in app's / modules. Task manager and Resource manager are your friends and everyone who owns a Computer already has them installed. Heck, even the always free "Speccy" has more useful information available. This half finished, if that, software is ........... well, not worth the price even when free. Alan, Great review, saved me the trouble of D/L and install. Looks good on the surface, but, as you say, Speccy does more with less. Alan: Excellent user review, and your thoughtfulness is much appreciated. It's certainly saved me wasting my bandwidth and my time on this. The laziness (or incompetence) of so many developers never ceases to amaze. As recently as last weeks giveaways we had one particular developer's idea of video software: it undertook conversions that were "Best Available", "Normal" or "Worst Available" -- utter nonsense . . and yet many folks on here scrambled to acquire it and sing its praises. And now we have this, a purportedly analytical app which merely manages. . . "OK". Speccy is but one of many freeware apps out there which to do for absolutely nothing what this commercial software at its ridiculous $25 retail seems quite incapable of managing. Why the developer even thinks it has a future escapes me -- as would why anyone want to even bother with it, too. Syvir "technologies" indeed . . .
Alan: Excellent user review, and your thoughtfulness is much appreciated. It's certainly saved me wasting my bandwidth and my time on this. The laziness (or incompetence) of so many developers never ceases to amaze. As recently as last weeks giveaways we had one particular developer's idea of video software: it undertook conversions that were <b><i> "Best Available", "Normal" </b></i>or <b><i>"Worst Available" </b></i> -- utter nonsense . . and yet many folks on here scrambled to acquire it and sing its praises. And now we have this, a purportedly analytical app which merely manages. . .<b><i> "OK". </b></i> Speccy is but one of many freeware apps out there which to do for absolutely nothing what this commercial software at its ridiculous $25 retail seems quite incapable of managing. Why the developer even thinks it has a future escapes me -- as would why anyone want to even bother with it, too. Syvir "technologies" indeed . . .
After starting program I get Run-time error '5': Invalid procedure call or argument. Run as admin - Component "MSCOMCTL.OCX" or one of it's depenencies not correctly registered: a file is missing or invalid. After starting program I get Run-time error '5': Invalid procedure call or argument. Run as admin - Component "MSCOMCTL.OCX" or one of it's depenencies not correctly registered: a file is missing or invalid. Run time error 5 - me too - I thought these were packages that were READY to install - today is a kind of a waste - running an I7 - 16GB RAM - 4 TB internal drives (in laptop) - Win 10 Pro - Good luck anyone for today! This program is a version limited to 6 months. It is a product that does not use artificial intelligence and yet it is like a doctor capable of predicting future failures! This program is currently a waste of time, it generates no detailed report and offers a visualization that does not conform to the real configuration. I have four banks memories that are well detected but the graph represents only three. Similary, for each partition present in a disk, a physical disk is represented for each one. Immediate uninstall. That programm don't still be yet finalysed, and I don't understand its utility. This program is a version limited to 6 months. It is a product that does not use artificial intelligence and yet it is like a doctor capable of predicting future failures! This program is currently a waste of time, it generates no detailed report and offers a visualization that does not conform to the real configuration. I have four banks memories that are well detected but the graph represents only three. Similary, for each partition present in a disk, a physical disk is represented for each one. Immediate uninstall. That programm don't still be yet finalysed, and I don't understand its utility. Installed on my Windows 10 Pro 64bit Update 2 system no problems. I uninstalled it as it expected me to manually enter the serial. So just because of the no copy and paste option, it went. Update the installer. 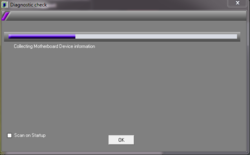 I haven't seen a Wizard installer like that since Windows 98. And don't just change the installer to a newer build but give us different repositories such as a 64bit installer and a portable too. Update the GUI so it gives a real time reading and model of your PC and not just a static model. With high DPI for Windows scaling. It would be nice to have the model set to the background also. So I could do a bit of gaming, drop out of the game and see straight away how hot my cooler etc. is. And after you've got all of that done, make it a Windows Universal Application, as I'd also like to see this work its way on to the Xbox, as this kind of data would be useful in that environment. Especially if your using it as your primary development platform. Great offer other than what I've stated. And thanks for not going the subscription model way. £24.99 is very reasonable for a program like this. I have a runtime error when I tried to key in the registration code, and after that, it keeps having runtime error. I am using Windows 10 Pro. I get the runtime error 5 message, too. Frustrating. Emailed support, let's see what happens. Installed fine on my computer (Win 10 i7). No desktop shortcut was installed, so had to create one manually and as I never install programs to the C drive (use a small 500GB SSD) I had to write out the full installation path manually. The program runs okay. No crashes and after rebooting the program still runs fine. The GUI looks a little dated though you can reconfigure the background color using a color picker application via the Configure/back color toolbar. There's no obvious help button, you have to click on the support tab to get access to help, which is an online help link to the developer's site. This program could be improved by adding explanations for what each button does. Even hovering over a button shows no basic information. Also absent is a temperature sensor chart. This would be a useful addition to ths program. Installed fine on my computer (Win 10 i7). No desktop shortcut was installed, so had to create one manually and as I never install programs to the C drive (use a small 500GB SSD) I had to write out the full installation path manually. The program runs okay. No crashes and after rebooting the program still runs fine. The GUI looks a little dated though you can reconfigure the background color using a color picker application via the Configure/back color toolbar. There's no obvious help button, you have to click on the support tab to get access to help, which is an online help link to the developer's site. This program could be improved by adding explanations for what each button does. Even hovering over a button shows no basic information. Also absent is a temperature sensor chart. This would be a useful addition to ths program. Sorry to go off subject, but I am intrigued. Could you ever install enough programs to get to even 200, let alone 500GB? Hi, Stephen, Sorry to go off subject, but I am intrigued. Could you ever install enough programs to get to even 200, let alone 500GB? BAW30s, not a gamer are you.... CODW WII - 90GB, BF 1 - 50GB, Titanfall - 45GB, COD BO3 - 60GB. I nerver install games on my 500GB SSD either. Dave C., Neither do I, but I'm betting your 500GB SSD "game drive" isn't your "C" drive either. Windows usually assigns "C" the primary drive. My "game drive" was "G". That is interesting, thanks: I had no idea they were so big. Must be all the graphics, I guess. Dave C., That is interesting, thanks: I had no idea they were so big. Must be all the graphics, I guess. DJ, naw the 500 SSD is my Boot "C", games and just about everything else installed on a 3TB "E" drive. The game developers could do better in reducing the size of these things such as just why do I need 7GB of uncompressed sound files that are mostly for the cut scenes which I skip when I can. I have sufficient information with Device Manager and Source Control. Crashed on opening with a run-time error on an i7 running win7 ultimate. Uninstalled. same as above Run-time error "5"
I cannot run the program it showing Run-time error "5"
Installed. When trying to fun for first time I get a "Run time error5" and the program immediately closes. It only gave me one attempt to enter the Registration key but after that, always the run time error. This program obviously isn't ready for prime time. Now, on to the uninstall process.